Disney Packing Tips! 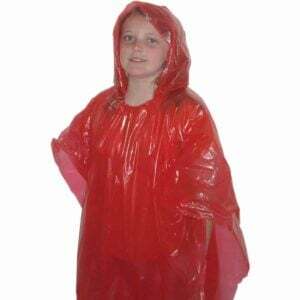 Things to Buy BEFORE You Go To Disney!! Going on a Disney vacation? Wondering what to pack for your Disney vacation? Before you go to Disney let me save you some money! See these Disney tips, packing ideas and items to sure to buy BEFORE you leave! Do you love Disney? We do and we are on the constant search for great tips, packing ideas and tricks to make our time there even better. We have taken our kids on the Disney Cruise, Disney World, Disney Land, we loved them all! However, we are not so much fans of the prices of some of the items in the parks. We all know that it isn’t a bargain to get into the park and they certainly don’t give you any breaks once you are in! We wanted to share some Disney tips for items that we have found (or wished we would have thought of) to bring with us and have saved us from totally breaking the bank on our Disney vacations!! Please note, there are affiliate links below, but all items are things I love and all opinions are my own! 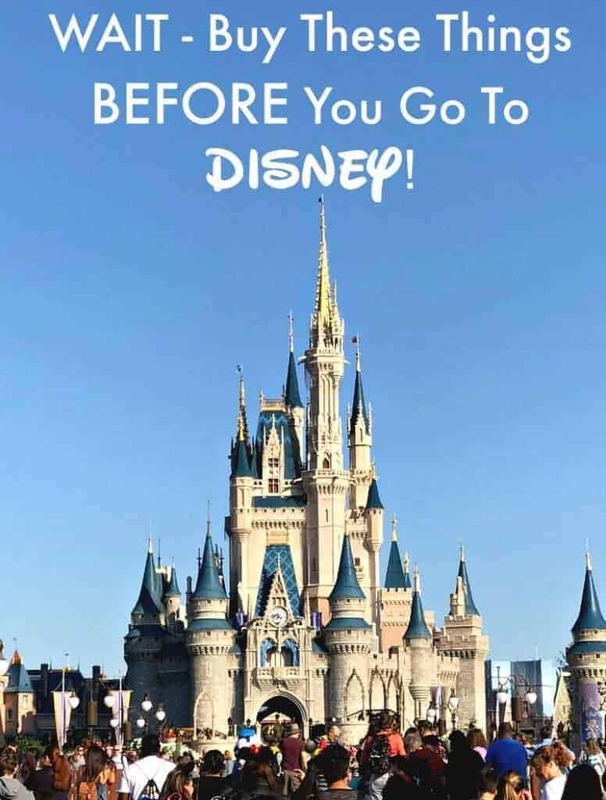 See ALL of my Disney Tips – Things to Buy BEFORE you Go To Disney HERE! Carabiner Misting Portable Fan – these fans were our saving grace. It can get so hot in Florida, especially during the spring and summer. The lines can be long and the sun can be a killer. 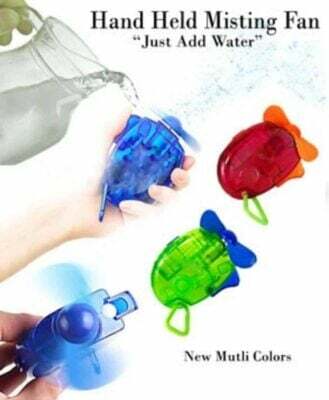 These great portable fans can hook to a backpack and a great for a quick spritz to help cool down. 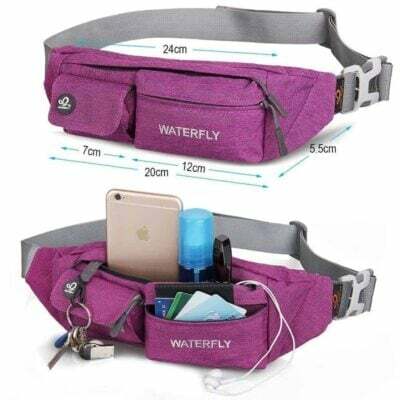 A small Fanny Pack is essential. 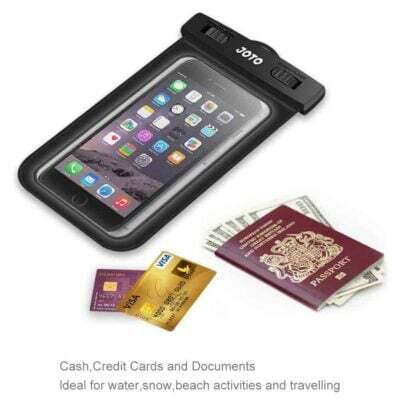 Someplace to throw your cell phone, credit card, and any other essentials. 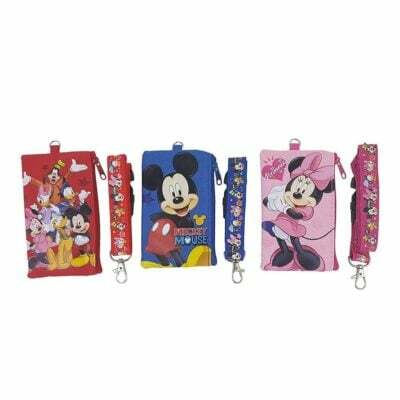 They are also great to tuck under your t-shirt when on a water ride to keep your items nice and dry! This one is particularly nice because it is water resistant AND fits the larger Plus size phones! 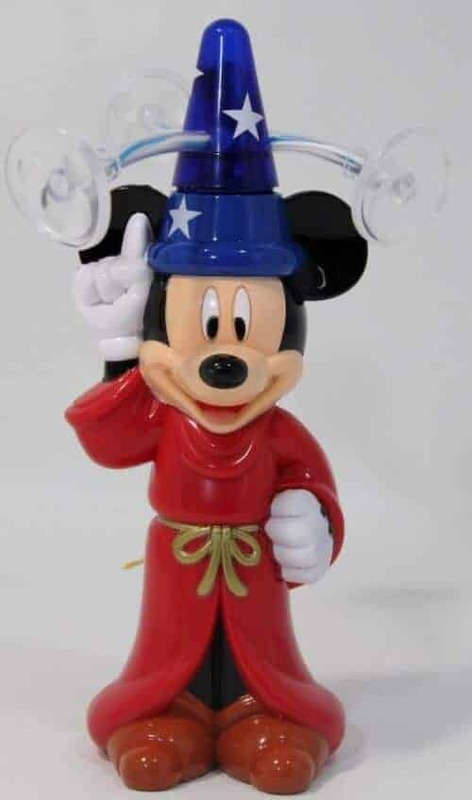 Light Chaser Toy – After a long day running around the park, the sun goes down, the beautiful lights around the park turn on …… and the light up vendors come out! You could dig into your pocket, again, and buy one of the overpriced light up toys OR you can dig into your backpack and grab the one you brought with you!!! Trust me …. 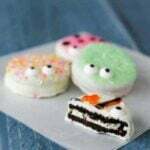 your child will want one, but you won’t want to spend the money! Trust me, a loooong day and a child with no light up spinning toy is a recipe for disaster. They are tired, you are tired and probably out of money at this point, do yourself a favor and bring one with you for a fraction of the price! I know that they can be bought on Amazon – click here to see! A few trips ago my kids discovered Pin Trading at Disney. This is where you have your own pins and you can go up to Disney Cast Members (many of them have pins) and ask them to trade pins. They have this at the parks, hotels, cruise ships, etc. They also have special pin trading events throughout the day to trade with other “pin traders” – my kids love it and they get some really cool memorabilia. Before you start with the pins, you need a Pin Lanyard – this is something they can wear around their neck to attach the pins to. They sell these all over the park, but you can buy them for a lot less before you go – click this link to see where we bought ours! We always try to buy a “special” pin to remind them of that particular trip (which they don’t trade), but then we need other pins that they don’t really care about for trading. So we discovered that you can buy sets of pins for a fraction of the price before you go and these became our “pins to trade“. We then reserve our “vacation money” for the special memorabilia pin to purchase at the park! Love water rides? You NEED a Waterproof Phone Case. If you are planning on going on any water rides at Disney (and come on, you are at Disney, you have to go on everything), you will want one of these cases. I promise you, you are going to get wet. Protect your phone and the memories you are capturing on that phone! I also love with these newer waterproof cases, you can use the phone while they are in there (think pictures in the pool or on the water ride!) AND there is room for your credit card, money and essentials! When walking around Disney you will suddenly see these lines of people, at random locations, waiting in line for no apparent reason. Well, if you look at the front of the line, you will most likely see a Disney character taking pictures and signing autograph books. 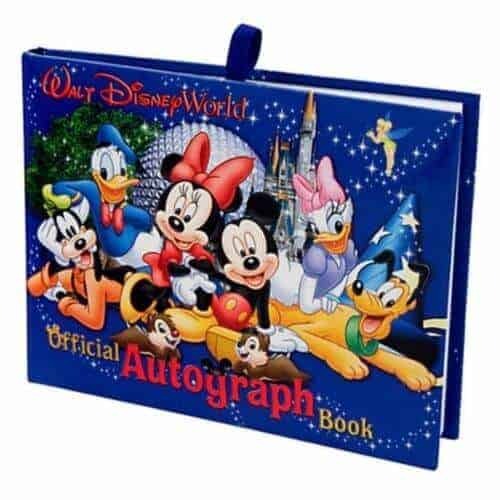 If you choose to go down the character autograph road, then you will want to buy your autograph book before you go – there are tons of different book, classic, deluxe, photo books, etc. Or, you can go to Target and purchase a plain spiral bound index card (see link for example) and decorate it for half the price. Here are some links to some other online sources where you can purchase them before you go! Food in the Disney parks is crazy expensive, especially when traveling with a family. We like to pack sandwiches and chips and then buy some special snacks throughout the day! 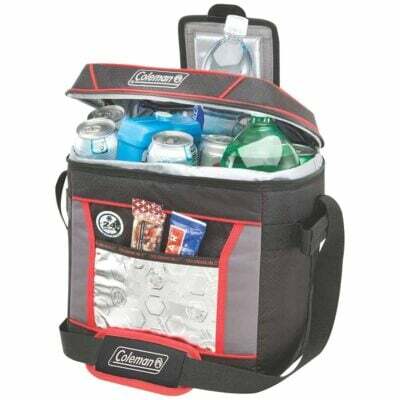 Grab a smaller soft sided cooler to throw in a locker or grab one on wheels that you can bring along with you throughout the park! You will see tons of little pirates or princesses running around Disney dressed to the nines. 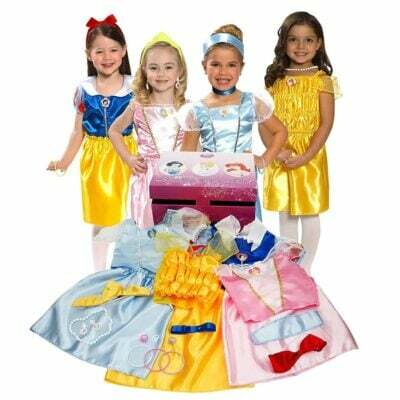 Save yourself a bundle by grabbing your favorite Disney character costumes before you go! Target usually has princess costumes and Amazon has a ton too! Take it from a total germaphobe – bring a pouch of travel wet wipes …. ’nuff said! 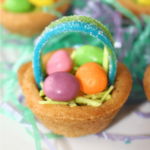 Around 5:00 pm you will totally be thanking me for this one …. no seriously, I would like a thank you email. It never fails that this one wants to go on this ride and this one wants to go on that ride OR someone needs to go to the bathroom and we will meet you HERE and they don’t show up. 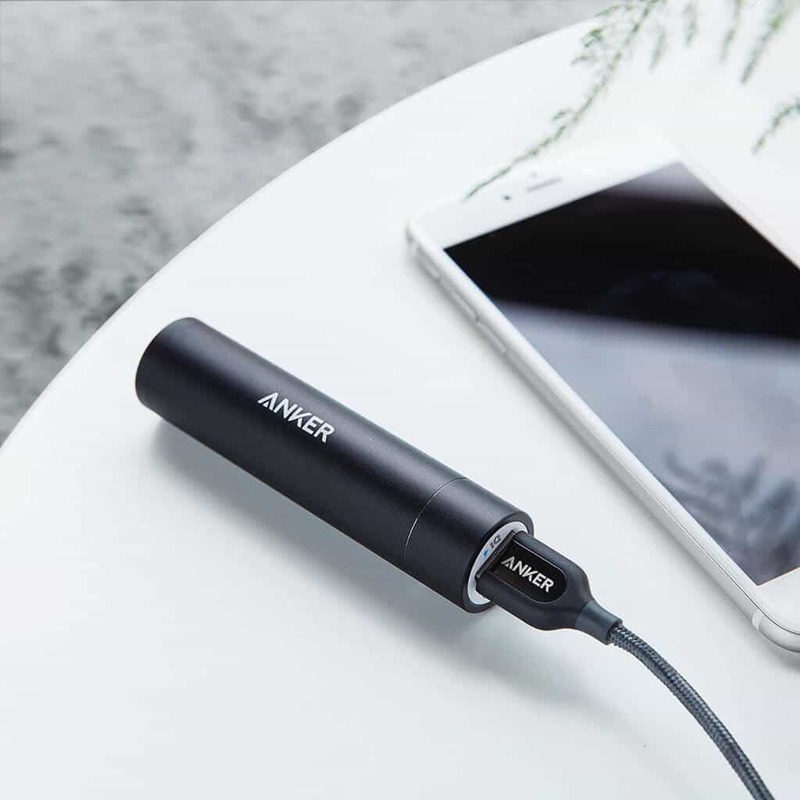 Your battery life will get sucked away (especially if you are using the great app they have available) and there will be no place to charge it – but if you pop one of these portable cell phone chargers in your backpack or pocket – you will be set through the fireworks! Target also has a very nice selection! With all of the walking and the Florida heat, it is easy to get dehydrated at Disney. It is super important to keep hydrated and drink! Buying water bottles and such can get very expensive – so we like to bring our own water bottles and my kids love to put flavoring into them. Stainless steel water bottles are THE BEST! The brand names are super expensive, but you can get them for about $10! 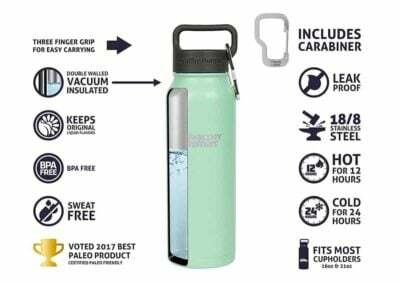 I particularly like this stainless steel water bottle because it comes in different sizes, colors (everyone can choose their favorite) and has a carabiner to hook on a backpack! I swear they keep your beverage cold ALL DAY and they do not sweat (true story, put some ice in mine and left it in the car overnight – next morning the ice was still there!!!) They will also keep your coffee HOT for 12 HOURS!! I am totally obsessed with mine! 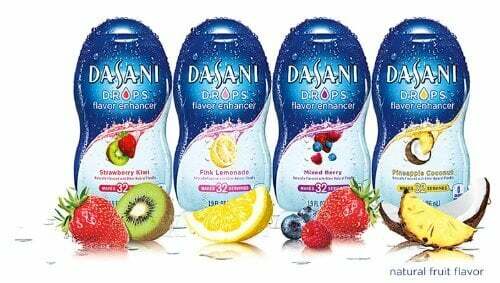 Do your kids complain about not wanting to drink water, no problem – bring some water enhancer – lemonade, fruit punch – the flavor possibilities are endless!! Note: This post contains affiliate links to products that could change your life. Buy now before it’s all gone! Take a look at some of my other travel post! Just click on the picture! 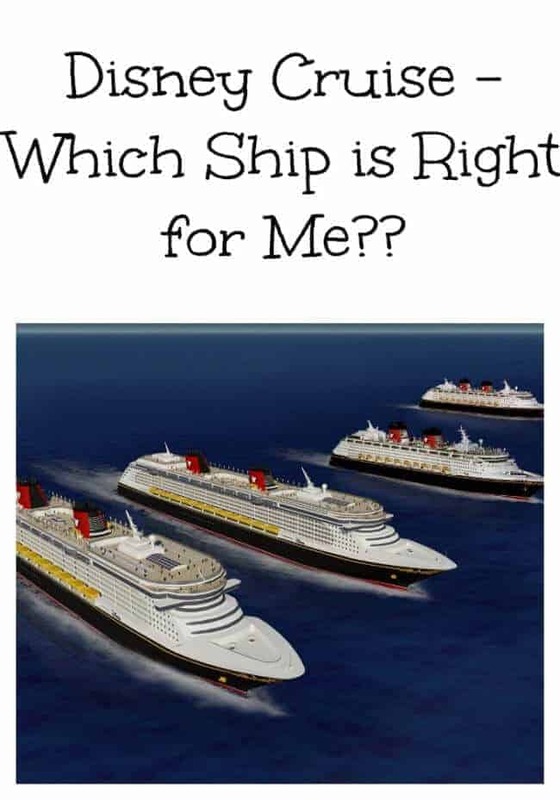 Thinking about going on a Disney Cruise, but don’t know which one to go on. This could help you decide. 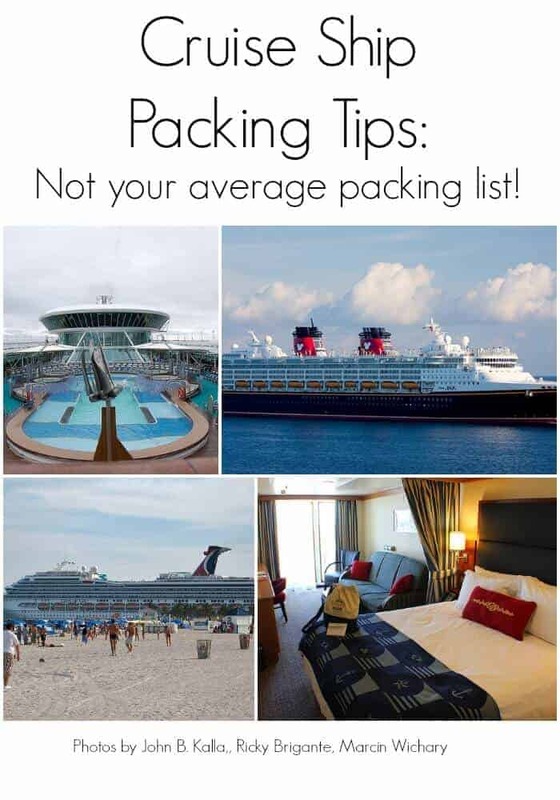 Heading out of a cruise soon – check out this Cruise Packing List! 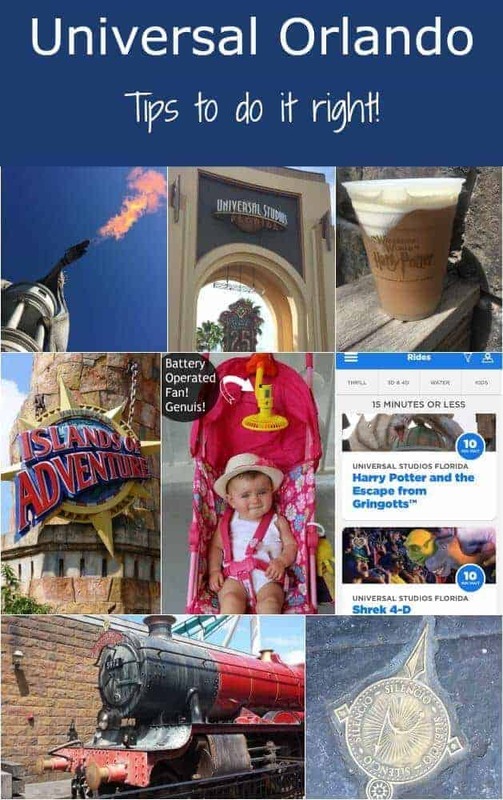 Heading to Universal Orlando? Here are some tips for there too! Thanks “Jennifer Fishkind” for your informative recommended packing list for Disney tour. Your recommended things are perfect but some items are not added to your list. 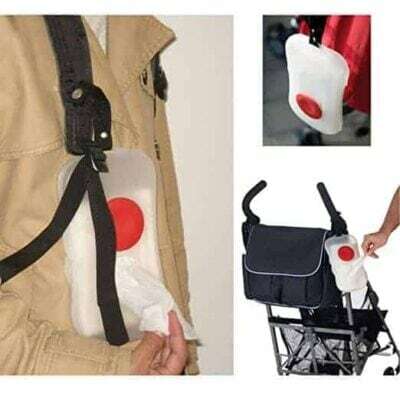 I think if you add comfortable shoes, Emergency medicine, Stroller for kids, sunglasses of your item list then it will be perfect.